You all might know me as the creator of pl_coldtop. However, before Coldtop, I was working on another project which kind of froze because of some personal issues. That project was pl_city. Now, I dug up the map yesterday because I was writing a blog post about it and I figured I should give the map some more love; I had organized many, many playtests on it and I feel like it'd be a shame to let the map die. 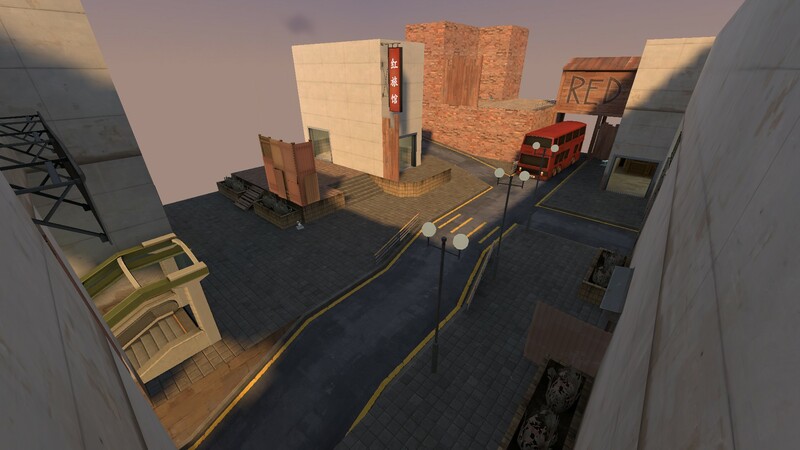 Here are some pictures of the old pl_city. So here we are, with the reincarnation of a classic! I'm rebooting pl_city as a fully textured map right from the start. Here are some early screenshots of the new pl_city! 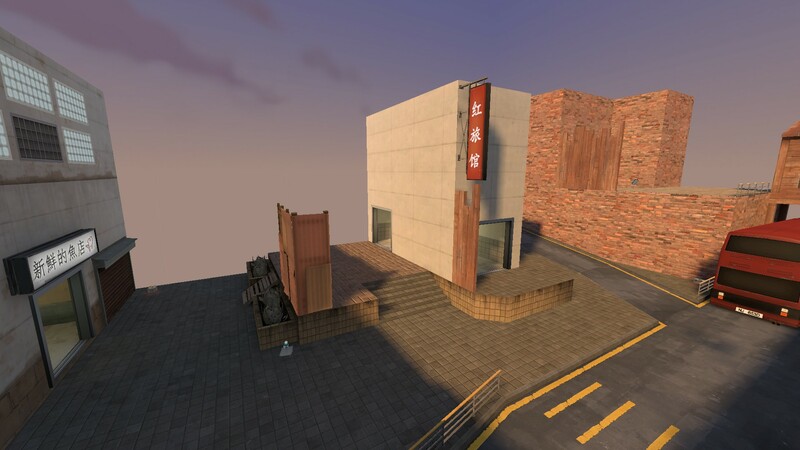 I hope you all will join me soon for new playtests on this map! 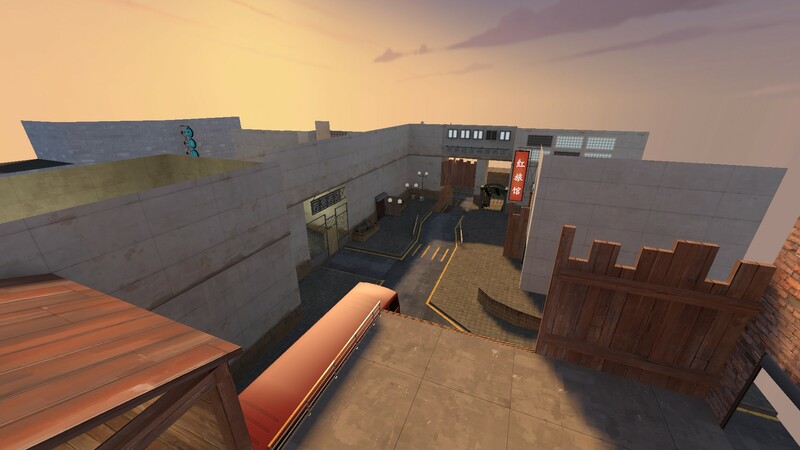 Looks like a pretty unique design for a TF2 map. Haven't seen something like this before. Interesting. Glad you like the design! The layout woked really well in previous playtests so I'm trying to keep most of the original layout but I do trim out the ugly. Area for CP B. Still need to figure out some way to add some more higher areas here and there. Other angle. Mainly a place for RED snipers to hold the line. Flank for BLU to counter said snipers. And finally, the other side of the street with a flank to the sniper nest for BLU spies.